Dave, I’d like to thank you for taking the time to do this interview for all the Josefus fans out there as well as the Psychedelic Baby fans who may not be familiar with Josefus. When did you start playing guitar and who were your major influences? I was 13 or 14 when I got my first guitar. Like everyone else at the time I was hearing The Beatles a lot on the radio, but it was The Yardbirds that made me want to play more than just chords. There’s nothing like a little Clapton, Page and Beck to get that inspiration going. What was the first guitar you owned and how did you acquire it? My parents gave me a Kay acoustic as a Christmas gift. I was disappointed at first because I’d wanted a trumpet. My earliest exploration of music was listening to my dad’s collection of 78 rpm records. He had a hundred or more from the late 30s and early 40s. I was really into Harry James’ trumpet playing, but they wanted me to start with something more basic. I figure there were plenty of times later on when my bands were rehearsing and shaking the whole house that they wished they’d just bought me that trumpet. Do you remember about your first band? Oh, sure. In the beginning, none of us played very well and we were just having fun. It was pretty much a joke, but we recorded some horrible music on a reel-to-reel tape recorder. I think I only played two-note chords, but we did some Beatles songs with lyrics rewritten from a dog’s point of view. I Want to Hold Your Hand became I Want to Lick Your Hand and All My Loving became All My Dog Food. We called ourselves The Beagles. After a while we thought we were virtuosos when we could play songs by The Ventures. We went for instrumental guitar music because no one wanted to sing in front of people. 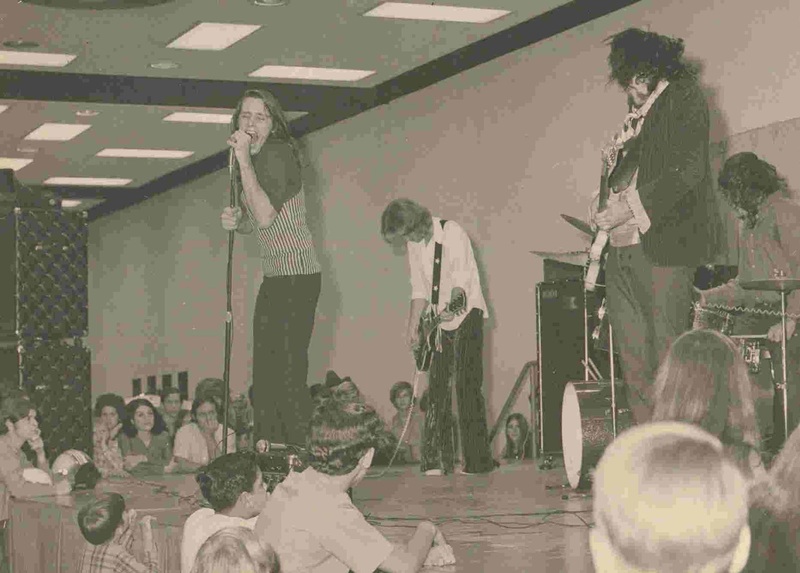 We played school talent shows and eventually added a singer, doing things by The Stones, The Yardbirds, and The Who. Our first paying gig was at a church bazaar in a small classroom. A lot of couples squeezed in to dance. We played four hours and made $10 that the five of us shared. But $2 bought a lot more in the mid-60s – maybe a tank of gas. 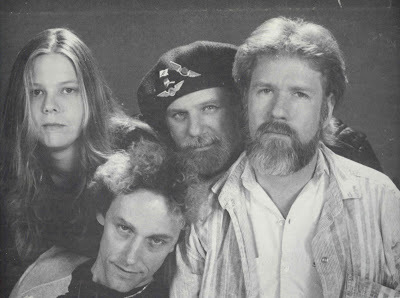 You and Ray Turner of Josefus were in an earlier band called Rip West. When did that band form and who were the other members? What can you tell us about the songs and recordings? 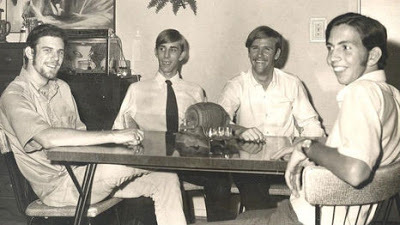 Rip West was mainly a studio band back in our high school days, maybe 1967. That was my first taste of creating original music. Ronnie Wiesner was a pretty prolific songwriter. He’d been the first drummer I ever played with in our old neighborhood, but his creative side destined him to play guitar. Doug Karydas was our drummer and the three of them had already begun recording several studio tracks when I was asked to join the band and add some lead guitar. When did Doug Tull and Pete Bailey come into the picture? 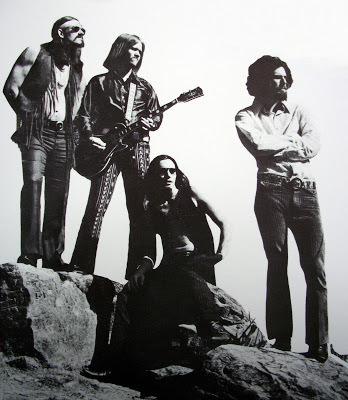 Doug started a band called United Gas in the summer of 1969 with Ray and another guitarist, also named Ray. Ray Hilburn was the songwriter and singer. I was added to play lead and the four of us played gigs for a couple of months like that. 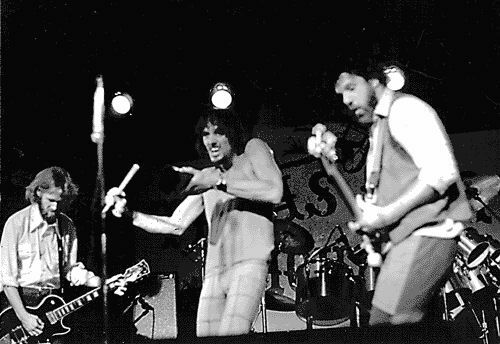 We were playing one night at Love Street in Houston when Pete came up and sang three or four songs with us. That night he became our lead singer and our name soon changed to Josefus. 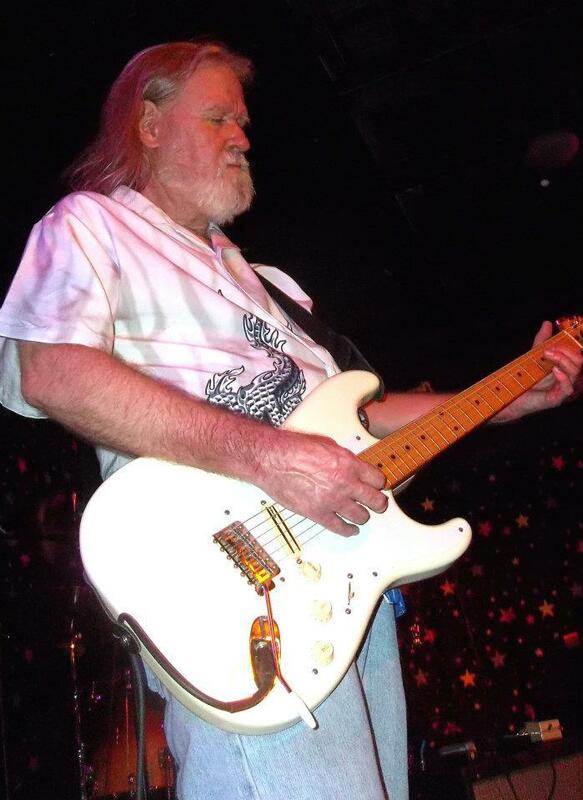 We had a few different people play gigs with us replacing Ray Hilburn as a second guitarist. Some of those shows were pretty rough. We eventually added Phillip White, who had played often with Ray and me during our high school years. He was a perfect fit. Things went great for a few weeks until Phillip decided to quit. From that point on I was the only guitarist. It took some time for me to learn to play without another guitar there holding everything together. I’d never been the only guy before. Josefus is known mainly for your guitar playing and Pete’s distinctive vocals. What kind of guitar and gear did you use? What about the rest of the band, what kind of gear did they use and did things change as the band evolved? I was playing a black Les Paul Custom, a ’67 or ‘68. It was all gold-trimmed and had a Bigsby tremolo that I liked to lean on a lot. I was using a Vox Super Beatle amp but in the early months of Josefus I changed to a larger setup. It was a new line at the time called Ryder. It had a lot of punch and I used two large speaker boxes, each with two fifteens and a horn. That’s an unusual configuration for a guitar amp but it gave me awesome sustain. All I added for effects was a fuzz pedal, a Cry Baby, and an Echoplex tape delay unit. Ray played a Fender Jazz Bass through a twin-stack Kustom amp, but I really can’t remember much about Doug’s drums. He played double bass for a while and used several toms in the beginning, but little by little he simplified his setup as Josefus kept traveling. You and Pete Bailey are thought to have done most of the songwriting. What was that process like for Josefus? Ray was just as much a part of that as Pete and I were. 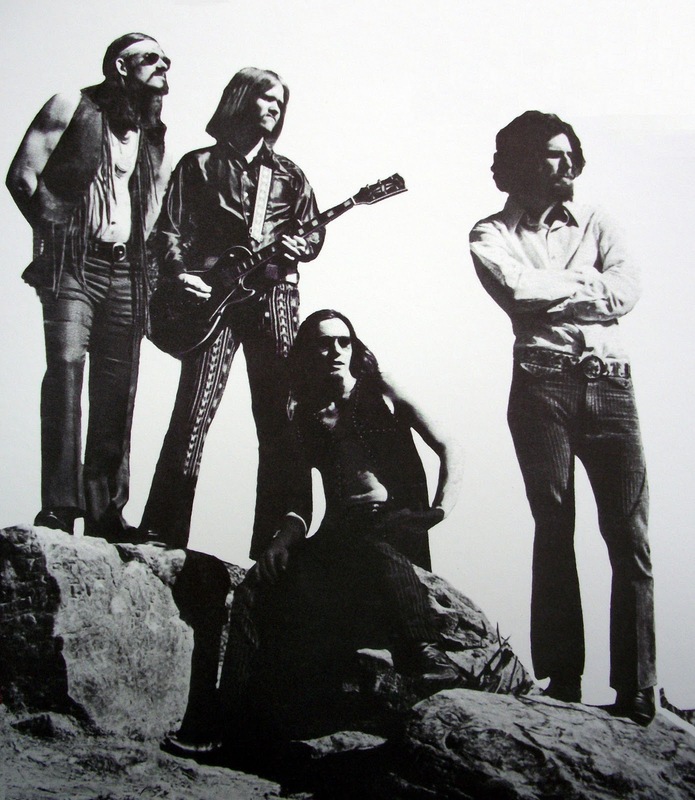 In those early days we all four shared the songwriting credits since we created everything as a group. Most of the time Ray and I would start to fool around with an idea on guitar and bass. Doug would be playing drums, too, and once we were in a groove, Pete would add lyrics. Sometimes he wrote them on the spot. Other times he’d flip through a notebook of his lyrics and he’d use something from that. He just adapted them to fit what it was we were jamming on. We’d create changes until we were satisfied that we had a song. It was so natural for us that we rarely threw anything out. Once we had a song, we’d try it in our shows, but some were eventually dropped once we had songs we liked better. When and where was your first LP recorded? It was maybe just a couple of weeks after Phillip left the band that we got the invitation to come to Phoenix and record an album for Jim Musil. His friend Bob Gately had seen us in Houston at one of our early shows. 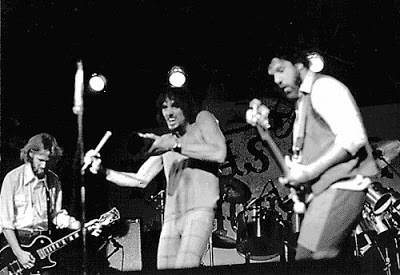 He booked us as an opening act in Texas on the Grand Funk Railroad tour. ZZ Top and Bubble Puppy were also on those shows. That was in October. We went to Phoenix in the middle of December and did our tracks at Audio Recorders. The engineer was excellent and it came together pretty fast. Everyone was happy with what we’d done after about three days. But Jim insisted we change the name of the band to Come for a marketing plan he had. We wanted a record so we really had no choice. You played and recorded as both Josefus and Come. Could you explain the circumstances? What tracks were recorded? 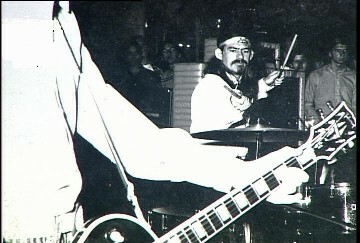 Those sessions in 1969 belonged to Jim Musil. He paid the bills and we thought he had the connections in L.A. to get us on a label. When we left Phoenix, he told us nobody would be doing business until after the holidays, so we waited for something to happen in January. We had enough faith in him that we started playing all of our shows in Houston as Come. But weeks went by and we started to think nothing was going to happen with Jim. We cancelled our agreement with him and went back into the same studio in Phoenix to record what would be the Hookah album. 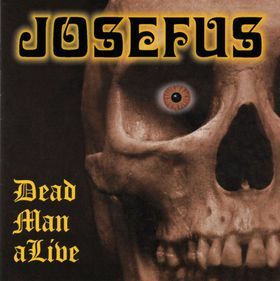 We also went back to the name Josefus, and even though Dead Man was still the centerpiece track of the album, we changed three of the other songs. One reason was that I was now the only guitarist. During our first sessions I had overdubbed Phillip’s guitar parts on some of the songs because they’d been written for two guitars. But after three months of playing as a power trio, we felt like some newer songs were better than the three we dropped. The first album was eventually released in 1993 on the Epilogue label as “Get Off My Case.” Who was responsible for its release? 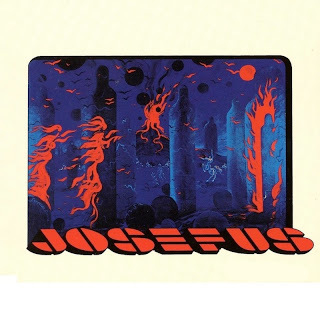 Being from Houston, what venues did Josefus play? Who were some of the bands you shared the stage with? 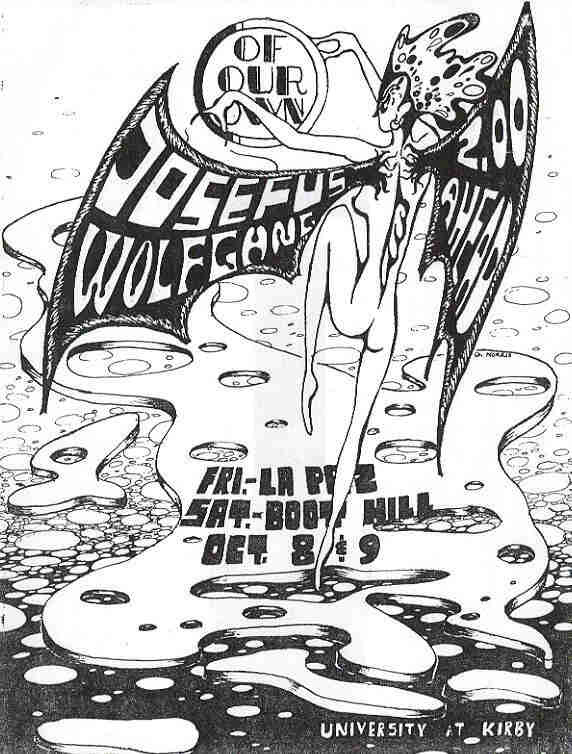 Our first two or three gigs were at Love Street Light Circus, one of the coolest clubs ever in Houston. That’s where I’d seen the 13th Floor Elevators and Bubble Puppy so many times, and it was a thrill to play there. A picture on our website shows what the club was like on the inside. But Love Street was affiliated with the International Artists record label, and after Doug got on stage one night and criticized the way they treated their bands, we weren’t on their schedule any more. From then until we went to Phoenix to record, we played a lot of free gigs. Every Sunday at Milby Park in southeast Houston bands were lined up to play. Music went on all afternoon and there were hundreds, eventually thousands, of people in that park every Sunday. What was your most memorable gig? Who else was on the bill? We played a lot of coliseum shows, but our first big one was the most memorable. We opened an all-day show and were followed by It’s a Beautiful Day, John Mayall, Quicksilver Messenger Service, and finally The Grateful Dead. Josefus was known to party. Could you share with our readers one or two events that took place while Josefus was out on the road? The biggest party I remember was on one of the top floors of the Hilton in San Antonio. We opened a concert there for Procol Harum and Ten Years After. All of the bands were staying on the same floor and for a while after the show you could smell the fragrant smoke all up and down the hallway. It hit your nose as soon as the elevator opened. We spent most of the night going between rooms and partying with all the British gentlemen. Ray was so hungover the next morning that we found him in one of their limousines about to leave for the airport. Someone had asked him if he was with the band. When he said yes, they directed him into one of their cars. Is it true that “Dead Man” was recorded on your 20th birthday, 30 March 1970? The LP had the Hookah label catalog H-330, representing that date. Was this purely coincidental? Why was the LP released on the band’s own Hookah label? After things didn’t work out with Jim Musil, we created a family business of sorts. We knew we had the songs for an album and we knew we had a lot of fans anywhere we’d played. Doug’s father and his new father-in-law, Curtis, put up the money for the album. Ray’s dad came up with the Hookah name and created the cover and label design. Curtis was working as a traveling salesman and became our manager. 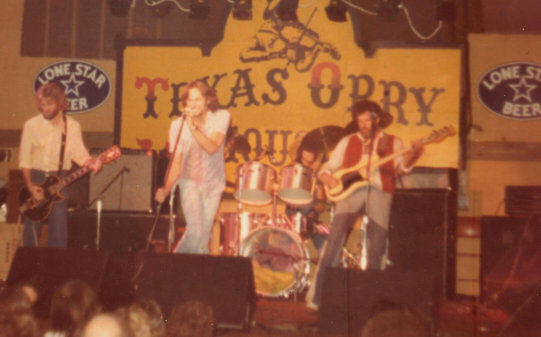 He went to clubs and radio stations as he traveled around Texas getting us airplay and gigs. It was just a coincidence that we recorded on my birthday. Since we were on a tight budget, the album was all recorded in one afternoon. We used just six hours of studio time. We went back a couple of days later for two more hours of mixing time and left Phoenix with a master ready to press records. How many copies of “Dead Man” were printed? We made 3,000 copies and took them to every record store we could. Most of them knew who we were already, and fans from our shows had been asking about it. We were probably one of the first bands ever to release an indie album. But it was also carried by an established Texas record distributor. 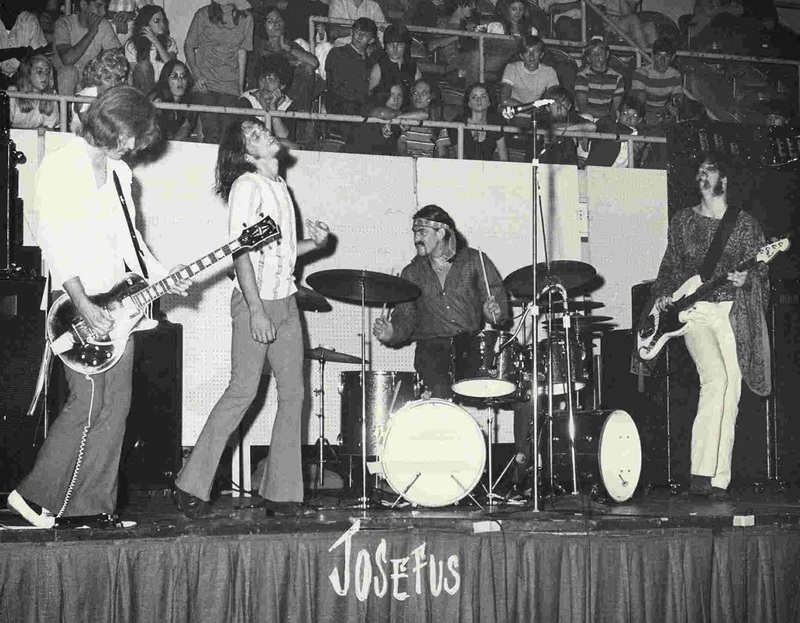 Josefus’ second eponymous album was recorded for Bob Shad’s Mainstream label. 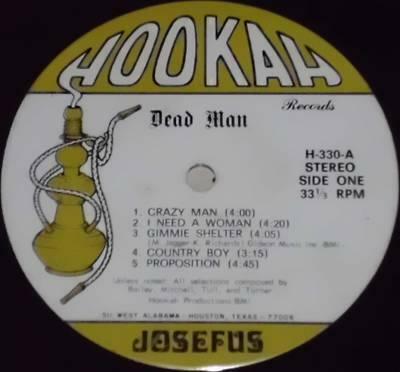 Didn’t the band want to use the songs from “Dead Man?” This failing, how long were you guys given to write the tunes that were included on “Josefus?” How long did recording take and where did it take place? We didn’t start out with a time limit, but it sure turned into that. We first thought we’d re-record Dead Man. The Hookah album had only been sold in Texas, so we were excited about recording a better version for national release. 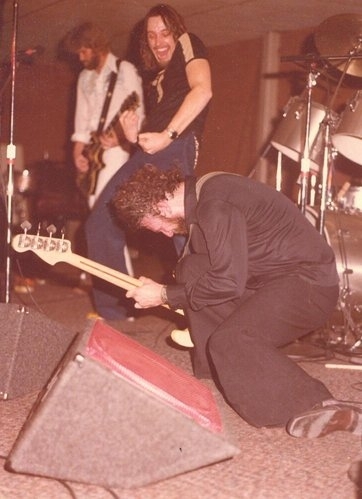 We’d had a lot more time playing live shows and the songs were getting better all the time. But Mainstream wanted new material. By then, some of those “internal band problems” were happening and we were having no luck writing songs the way we had in the beginning. On the last possible weekend, we had a marathon session without Doug and quickly wrote all the songs for that album, using every idea we could scrape together. We submitted a cassette tape, it was accepted, and we went to Miami to record at Criteria Studios. Eric Clapton was recording Derek and the Dominos with Duane Allman at the same time. We shared the engineers, and they were a lot more excited about the other sessions. Everything about that album seemed to come together in the worst possible way, and we were very disappointed with it. Mainstream was a well known label. Who were some of the other artists who recorded for the label? Their biggest success had probably been Big Brother and the Holding Company with Janis Joplin. They also had The Amboy Dukes. I met a few people over the next several years who had also gone into the studio for Mainstream. I think Bob Shad tried a lot of different groups hoping to find another gem now and then. 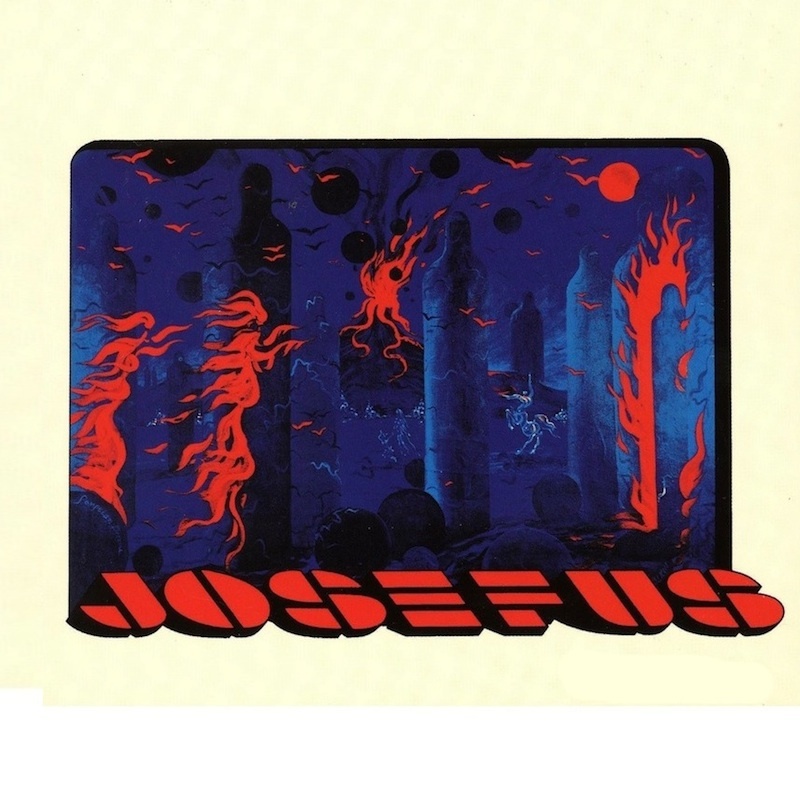 What was Josefus’ first single? How were the sides chosen and what label did it appear on? Our first 45 used the name Come. 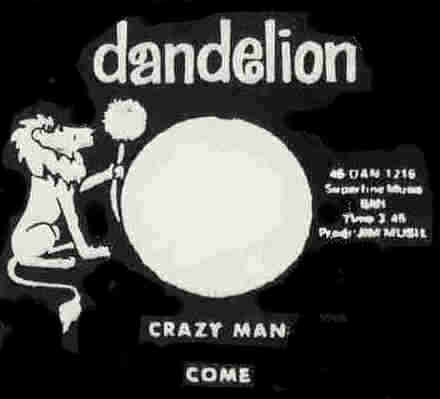 That was on Jim Musil’s Dandelion label and he probably pressed those just to appease us a little because it was taking so long for him to get us a label deal. Doug was making frequent calls to check on the progress and Jim knew we were getting restless. As soon as we got our first copies in the mail, we went straight to one of the FM radio stations. The DJ previewed a few seconds of each side, then played it on the air and briefly interviewed us. How long was Josefus together in its first incarnation? Where was the band’s first gig? What about its last gig? It was about a year and a half. We had a memorable start at Love Street, when we were still called United Gas. It was really just a quick live audition, after my first four-hour rehearsal with them. Love Street hired us for two or three more shows during the next few weeks. That all ended when Doug made his speech blasting International Artists. Things might have been way different if we’d just sucked it up and signed with IA, but it was probably a lot more interesting the way things actually played out. Love Street and IA weren’t around that much longer anyway. 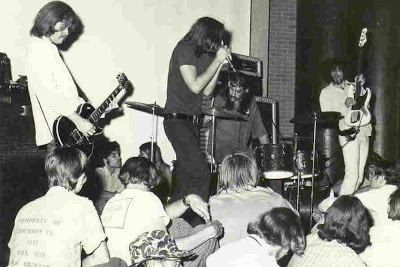 After spending most of 1970 playing all across Texas, our last gig was in December at a Houston auto show in a huge convention center. It was an awkward show to play since there were some hard feelings about the way things were ending. Why did Josefus disband? Did the members stay in contact with each other? A reporter once asked us what kind of role drugs played in Josefus. Pete’s answer was “too big a role” and more than anything else, drugs kept us from making the right decisions. Drugs were common with many bands at that time. People partied and experimented. It was the 60s, after all, carrying over into the start of the 70s. But we also had the typical internal issues. Bands are a little like a marriage – you live together much of the time and try to reach a consensus on issues where you really don’t agree. Without the ups and downs of the drugs, we might have worked together better. After we broke up, Pete and Ray formed a band called StoneAxe that was pretty much a continuation of Josefus. 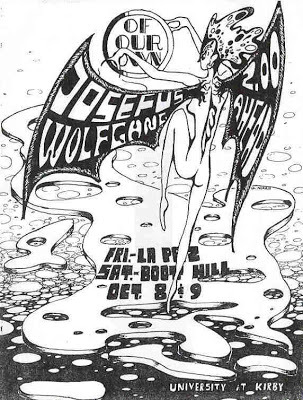 They played many of the same venues, returned to those Sundays in Milby Park, and even booked shows outside of Texas, something Josefus had never done. Doug and I didn’t stay in contact with the two of them or each other at first, but after a while the hard feelings softened and we did all start talking again. What was your next musical project? My next project was with some good friends I’d known since high school. It was once again centered around writing and recording original music. We learned enough covers to play a few gigs around Texas, but we were mostly wanting to make an album. After we broke up, a recording we had made took third place in a national music competition. We won $5000 worth of gear, which was quite a lot in the early 70s. We got back together with the new equipment, but it didn’t last too long. After that I tested the musical waters in California for a few months. Then Pete lured me back to Texas with a chance to record another album. That was our first attempt to reform Josefus, but that one never quite came together. 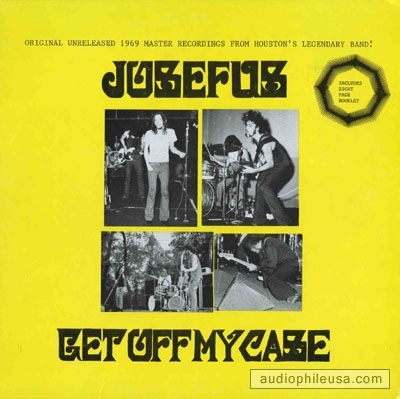 Josefus did reform in 1978 and released a couple of singles in 1979. By this time Doug Tull had been replaced in the drum seat. Who was his replacement? Jerry Ontiberoz was playing drums for us. He’d played with Pete and Ray in StoneAxe immediately after Josefus first broke up. By this time I had a small home studio where we rehearsed. We recorded ourselves there just to work out the kinks, but we went into a full-size 16-track studio when we were ready to start recording a new album. We had five tracks finished before we got low on money and released two 45 singles instead. Did the reformed Josefus play many gigs? How long did you remain together this time and why did you disband? We played some clubs, mostly in Houston, but it wasn’t a good time for our kind of music. Disco was the big thing, and Houston still had more country clubs than rock clubs. It had been that way as far back as I could remember. I used to drive four hours to Dallas to see rock bands. We actually played a few of those country clubs during that period, but not all of the audiences appreciated our songs or our loudness. The biggest venue we played was Texas Opry House where we shared a bill with B. W. Stevenson. That was again an audience of mixed tastes. We stayed together a little over a year that time. Ray and Jerry eventually left to play in a country rock band where they could work more steadily. In 1990, the LP “Son of Dead Man” was released. Who was in the band at this point and who suggested the reformation? The album had 11 tracks, 10 originals and a cover. What was the cover song and why was it chosen for recording? Who wrote the 10 originals? How long did it take to write the songs? How long were you in the studio recording the album? 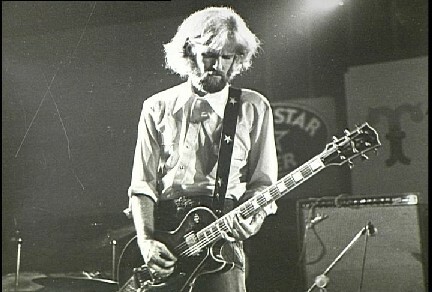 Pete had formed a new Josefus in 1989 with three young musicians. They were just a year or two out of high school. The drummer was Leesa Harrington-Squyres, who still plays with us any time we get back together. Pete was approached by someone who would press albums if Pete could deliver the recordings. I was working 50-60 hours a week, but Pete asked if I’d play on those sessions and I was there nights and weekends. I think we were all working at the time, so we didn’t finish the tracks for several months. The interesting thing about that album is that we started recording it while Ray was playing in Alaska. 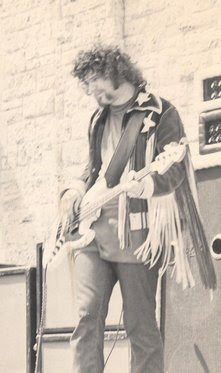 Mark Weathers was on bass and finished all the tracks, but when Ray came back to Houston, he redid all of the bass tracks except one. We didn’t want to cut Mark out completely after all the good work he’d done, but it was important for the album to have more of the original members. Mark was unhappy but very understanding about it, and he even stepped back in on bass with us following Ray’s stroke so Josefus could play at Ray’s benefit. The original songs on that album were all ones that Josefus or StoneAxe had already written, but we spent a lot of time working on the arrangements. The cover was She’s Not There by The Zombies. It was a song that Pete just really wanted to include, but I didn’t think we succeeded in making it sound like Josefus. When did Ray suffer that stroke and how is his recovery going? Is there any chance of you, Pete and Ray gigging together again as Josefus? That was in July of 2011. It brought the rest of the band back together for the first time since our Halloween show seven years earlier. Mark got on board and several other bands agreed to play at Ray’s benefit. The show went from mid-afternoon into the early morning and raised quite a bit to help with Ray’s medical bills. In the year since that show, Ray has made remarkable progress, but playing bass again is still at the top of the mountain he’s trying to climb. 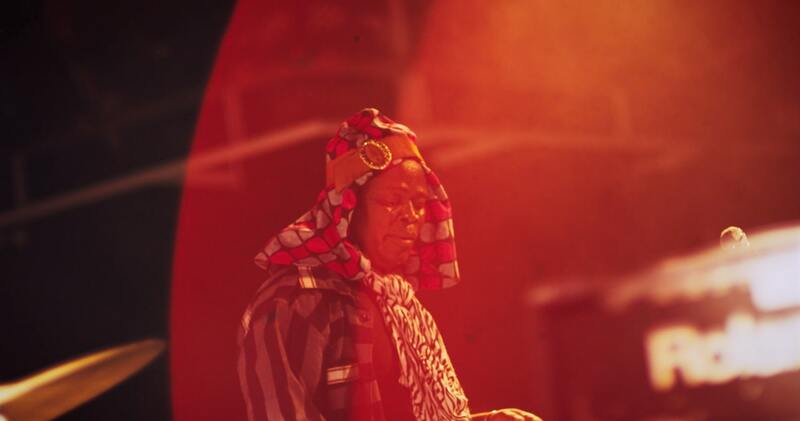 We’re hopeful that he’ll eventually make it and we’d all love to be on stage together again. 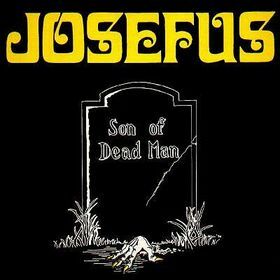 When and why did Josefus call it a day after releasing Son of Dead Man? About the time the album was released, we were scheduled to play a music festival on Labor Day weekend. Leesa was pregnant with her daughter at the time and went into labor a couple of days before the show. We knew she was due, but kept thinking we might get through the performance first. Pete even hoped she’d go into labor during our set as an added bonus! Our name is on the event T-shirts with all the other bands, but we weren’t able to play. We just didn’t try again after that. “Son of Dead Man” sold better overseas than it did locally, and it just didn’t open any new doors for us here. Josefus has always been popular in Europe. When did you first become aware of bootleg pressings of your recordings being released there? I personally own bootleg copies on the German TRC label. What are some of the other non-legitimate releases? The “Dead Man” album has been reissued exactly as we released it quite a few times. A 1983 release on Eva, a French label, is the first one we ever saw. Doug hired a lawyer and tried to sue somebody in the states for being involved, but it never went anywhere. I watch eBay for Josefus items and still sometimes see another label name I hadn’t seen before. I bet there’s at least half a dozen. You compiled live recordings and other rarities into the CD “Dead Man aLive.” What was the source of the recordings and how did it feel to resurrect the Hookah label after all these years? That was quite an experience. I had reels of tape from those Josefus rehearsals in my home studio, but Ray had the gold mine. His dad used to record some of our shows and he brought me a box full of tapes. Between those two, I probably went through a hundred reels of tape to find what was on that CD, but most of what I found wasn’t Josefus. Ray’s dad recorded albums and radio shows, too. A lot of those tapes weren’t labeled, and many others were in boxes that were labeled wrong. I had to fast forward and spot check all of them before I could know what we had. A couple of the early Rip West recordings made it onto the CD, along with a studio demo that United Gas did before I joined the band. The live version of Dead Man was one of our better performances, but it was over thirty minutes and I had to find some smooth edit points and cut out some of our non-essential noodling to make it fit on the CD. It was only natural to use the Hookah label since we were once again putting out our own release. 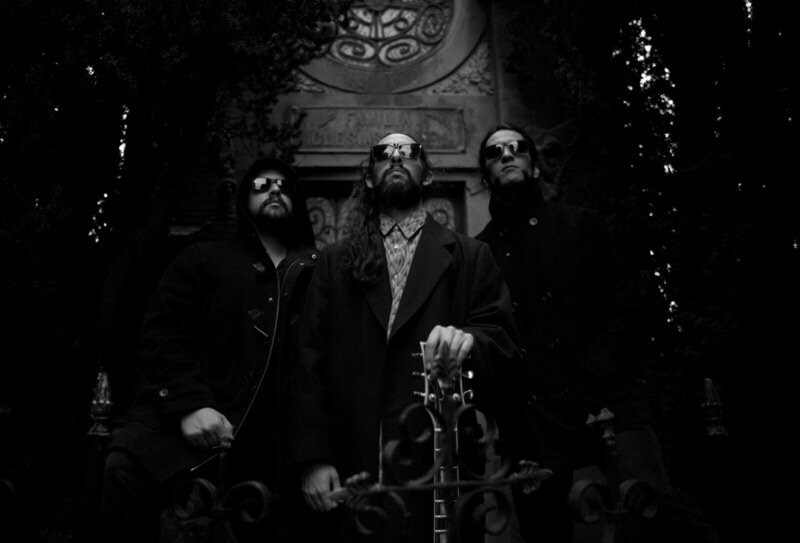 Josefus played a Halloween reunion gig in 2004 which was documented on a limited edition CD. Where did the reunion take place and what was the set list that night? That was our first serious attempt at rehearsing a show in many years. We’d been onstage at a few jams to play three or four songs, but we put together a set list of twenty-something of our songs for that gig. We played two nights at Dan Electro’s Guitar Bar in Houston, and eight of the songs made it onto the CD, including Dead Man. Phillip White, our other guitarist in 1969, even flew in from California and joined us on stage for a few songs. Are there plans for any future Josefus gigs or recordings? We’re currently doing a new vinyl release with ShroomAngel, but the exact content hasn’t been finalized yet. We uncovered an 8-track reel of four songs from 1978 that none of us have heard since we left the studio with it. As we talk, a studio is baking that tape so they can transfer what’s on it. The album will also have live tracks from some of our more recent shows. 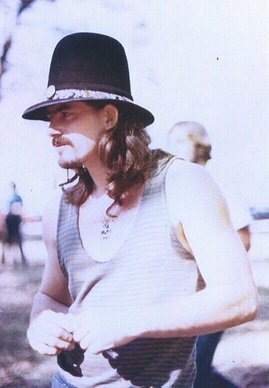 Doug Tull passed away on Jimi Hendrix’s birthday in 1990 under tragic circumstances. What was the relationship between Doug and the other members of the band at that point? Actually I think it was the funeral that coincided with the Hendrix date, but it was the day Jimi died, not his birthday. It was in September. Some writer hyped that Hendrix connection years ago and it keeps being repeated. The four of us were all friends and talking to each other, but it wasn’t all the time. Doug was living near Austin at the time. The rest of us were still in Houston. After the service, we had a great visit with Doug’s mom and his ex-wife from our Josefus days. His mom was still living on that land where we first had our rehearsals, but after twenty years there were a lot more houses on it. In 1999, Bob Irwin’s Sundazed label released a CD containing both versions of Josefus’ debut album, “Dead Man”/“Get Off My Case.” How did this release come about? Sundazed searched us out for that one. It was our first legitimate reissue. They also contacted Jim Musil in Phoenix to get his recordings, which actually could be called the original “Dead Man” album. A CD holds more music than a vinyl album, so both versions fit on that release. It’s interesting for us to hear how much we had grown during those three months. Could you tell our readers a bit about the Dave Mitchell Guitar Orchestra project? Well, by now that has turned into a really long story, at least in terms of actual time that’s passed. It was a simple idea to start with. I’d been listening to classical music and started to write an album where guitars played around each other like that, but it would be rock music. That was why I had the home studio. I was working with some people on a musicians’ co-op to produce our own records and shows. The guitar orchestra had two tracks on a 7 inch, 33 rpm EP that we called a Mini-Album. One of those co-op produced shows led to Josefus getting back together in 1978, and I stopped my project to work on the band’s music. I thought that would only be for a short while, but after Josefus broke up that time, I went back to school and found a better paying career while I was raising my family. I always had that music in my head, but I only played it by myself around the house. Now, all these years later, I have another studio and I’m working on it again. In 2003, Comet Records released “Dead Box,” a 3 CD set of Josefus recordings, as well as “Dead Man Plus….” and “Josefus Plus…” Were these legitimate releases and did you receive any royalties from the label? We got an advance when we signed the contract, but we never saw any royalties in the years that followed. Like I said, Sundazed had been the first label to actually deal with us directly in re-releasing our music. Most all of the reissues in the 80s and 90s were done entirely without our knowledge, but we weren’t alone. The same thing has happened to many other old bands. But without those bootleg copies, many of our fans overseas would never have known who Josefus was. Our original album only had limited distribution in Texas. I understand you wrote a book about the adventures and misadventures of Josefus? What’s the title of the book and how can readers get a copy? It was titled simply Josefus with a sub-title of The Inside Stories. I put out a small quantity in 2007 and sold them through the website. I did a second printing in 2011 with a few added stories and some photos, but shipping books can be a lot of trouble and expense, especially going overseas. I stopped selling it on the website but saved a few copies for special situations. For now it’s only available as a pdf ebook. It’s the second edition and includes the photos. Dave, how can Psychedelic Baby readers contact you and/or obtain copies of Josefus music? We’re on Facebook at facebook.com/josefusmusic and josefusmusic.com is our website. Most everything is covered there, but if anyone wants to write us, we answer every email. I’ve also started a page at facebook.com/guitarorchestra for my own project. Thanks for your time Dave. Its been a pleasure to talk with you and I know our readers at Psychedelic Baby join me in thanking you. For those interested, ShroomAngel has been successful with transferring the newly discovered reels from 1978. We will combine those tracks with some superbly recorded live material. Special thanks to Pete and Dave for continuing to carry the torch, and thanks to all those who support them in their efforts. 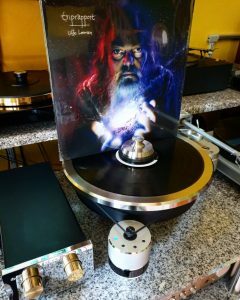 Thanks Klemen, for featuring this great band on your blog. great interview!!! I just bought Deadman & the S/T. Hi Klemen. Good interview. I bought that first rerelease on Eva in 84 and immediately started playing it on my show which was then called Adventures in Plasticland. Of course I'm still doing a show and it's called Psychedelic Pete's Underground Freakout as you know. I always love old style guitar freakouts and this was one of the best . I never knew much about them except they were from Texas. Glad you dug them up and paid homage to them.